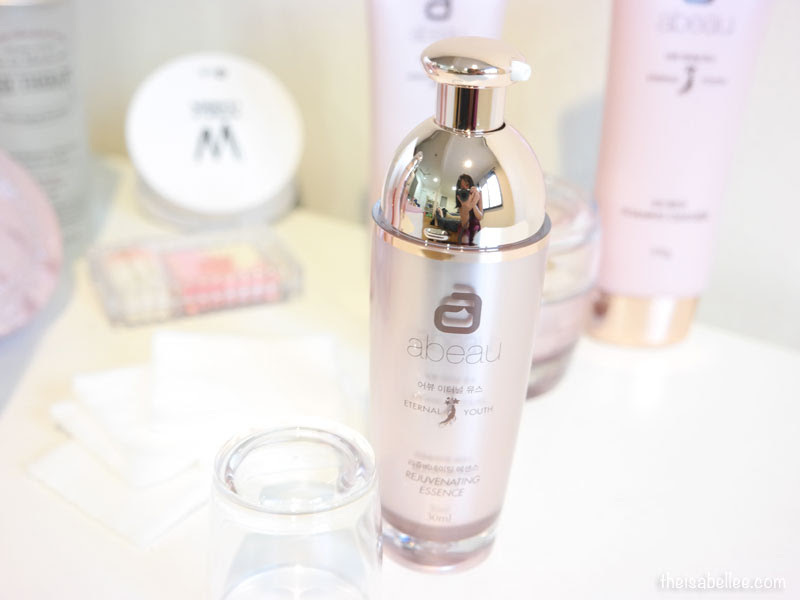 Got a chance to review these Abeau skincare from Korea *gasp! 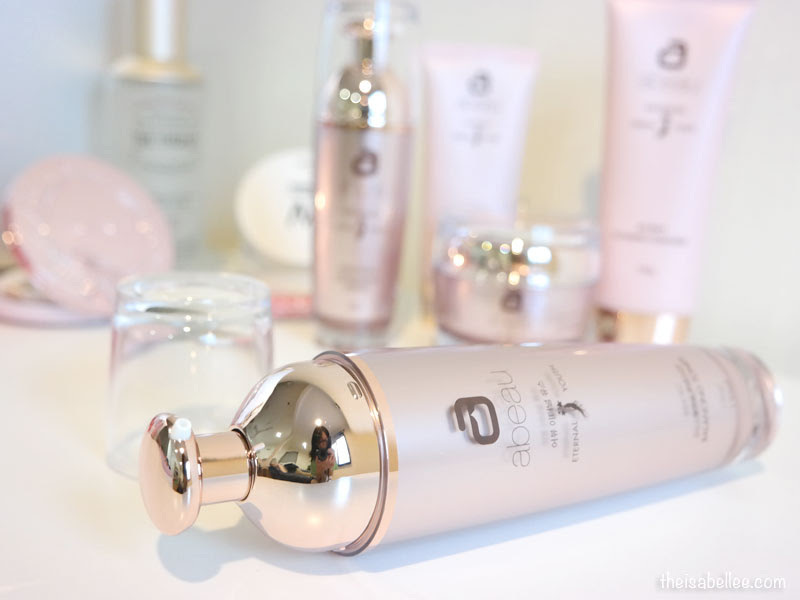 * Loving the pink and rose gold bottles which are looking amazing in my beauty corner. It's simple, clean and expensive looking. Makes me happy every morning just looking at them. I was lucky enough to receive the entire range worth RM788. Thank you! So far I'm kinda loving every part of it, down to the CC Cream. The range contains really awesome ingredients such as bamboo extract, red ginseng extract, and swiftlet nest extract. Helps to remove dead skin cells and dust; contains 10 botanical extract complex to cultivate skin that is elastic and hydrated. It's quite thick and you won't need too much. 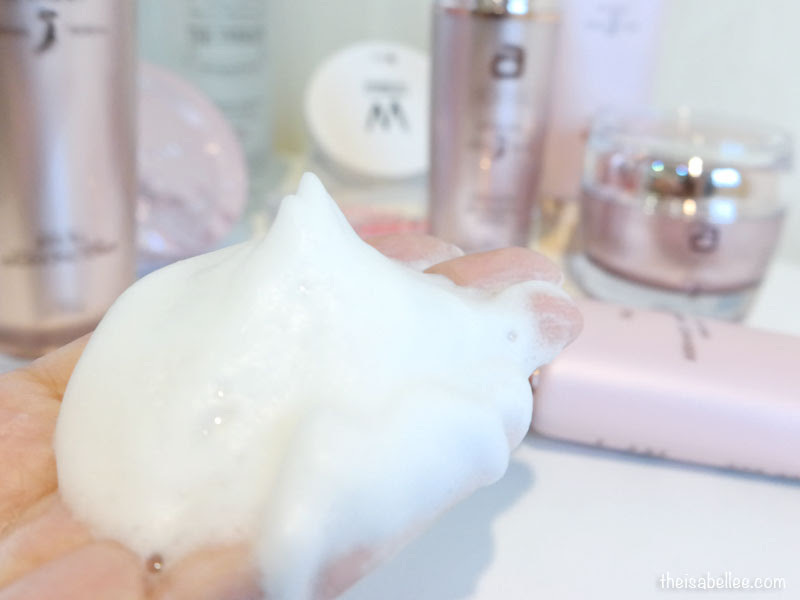 This cleanser lathers up into a luxuriously thick foam that is a joy to wash your face with. It's dense enough to feel like soft cushions on your face. My face never feels dry or tight after each wash.
After washing your face, it's essential to feed your skin with sufficient moisture, starting from toner. The thing that caught my eye was the pump! I've never seen a pump like that. It's so cute and works perfectly. 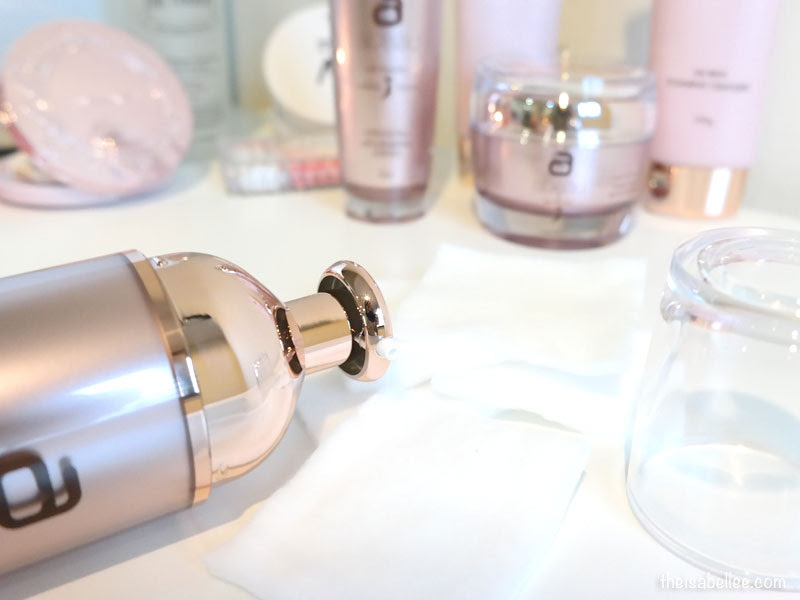 Each pump is well controlled and gives enough product for my face. You can apply this with a cotton pad but most days I'm just like ehhh I'll just use my hands because let's be real here.. Hands are so much faster and you get to pat it in! 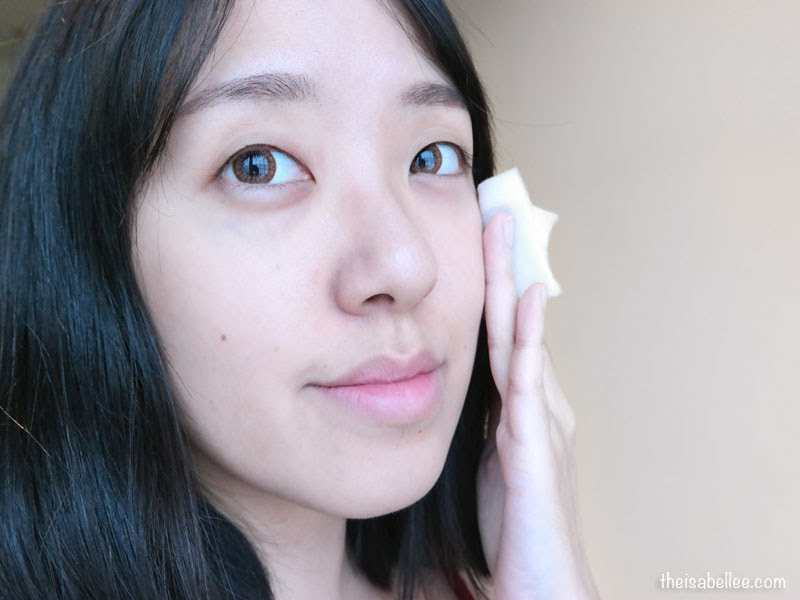 But if you're feeling like you need a little exfoliation, do soak a cotton pad with it and massage all over your face. You'll be surprised at the colour of cotton pad after. This bottle is kinda like a smaller version of the lotion. It too absorbs super quick which is a relief as some serums can be a lil on the sticky side. Yuck. Since it is only slightly runny, I just apply this with my hands. The essence contains 10 botanical extract complexes and hyaluronic acid for moisture protection, wrinkle care and skin whitening. 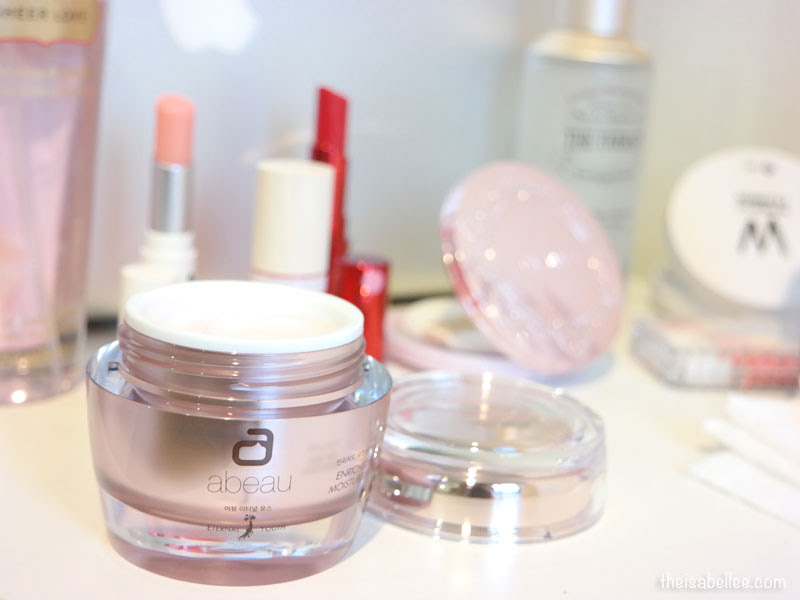 Contains peptides and 16 extracts which help form a water protection membrane keeping skin lustrous and soft. Look! 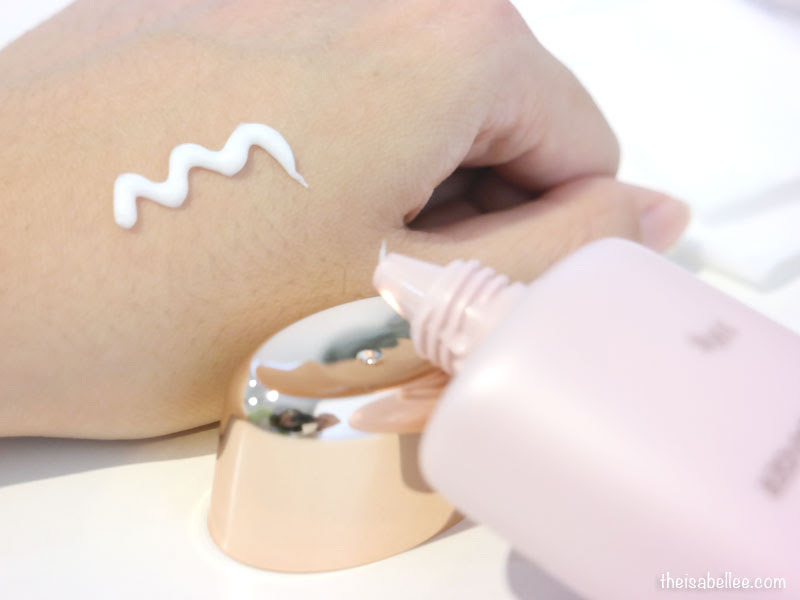 The cream itself is a really light pink colour. I like how the previous 2 were so light to match this thicker cream. My dry skin needed some real hydration but you can't exactly force layer upon layer of heavy skincare on my face. It'll just clog up and cause bumps. Check out that glow! The cream isn't greasy or sticky but it does give my skin the hydration it needs. It feels really comfortable using this both day and night. For night I use a bit more since I sleep in an air-conditioned room. 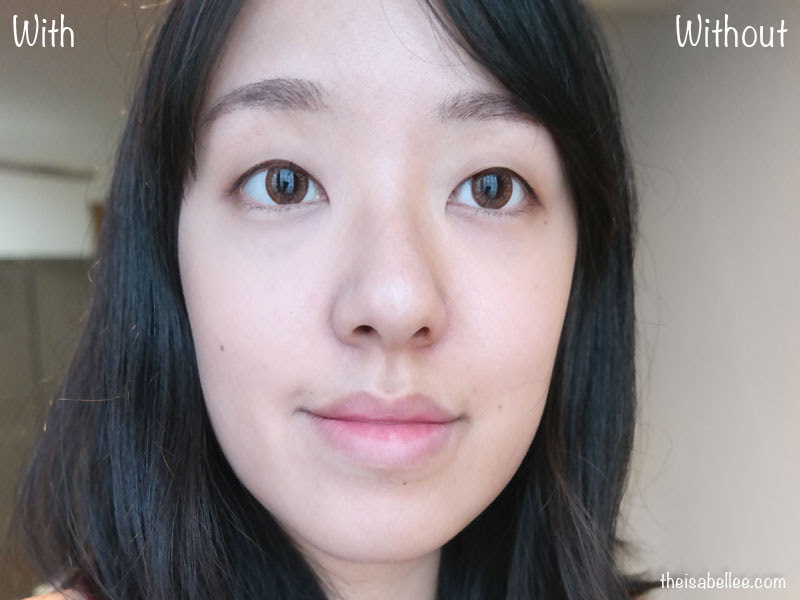 Normally I'm really skeptical about any kind of liquid foundation/BB cream/CC cream. Same thing. They rarely sit well on my skin. BB/CC creams are almost always not in my shade anyway. To begin with, I don't have a lot to cover but an even skin tone does wonders to your whole look. I'm mostly concerned about my undereyes, pores and redness around my nose. 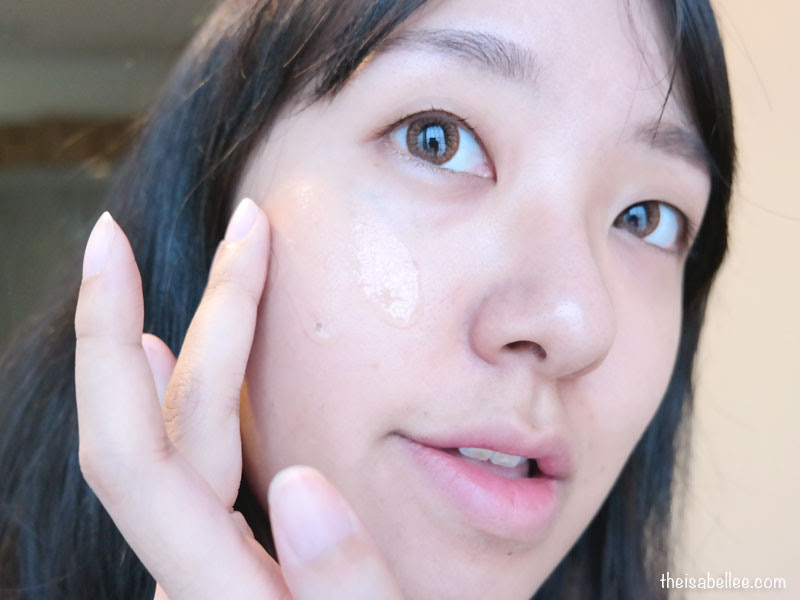 This CC cream managed to tackle all 3 problems although I probably need some extra concealer under my eyes (didn't bother with that anyway lol). Coverage is low-medium and and you can layer it without a problem. Colour wise, I'm pretty happy with it. It wasn't ghastly or pasty looking. I'm much darker than the photos here (sorry for the over exposed photos) so I am impressed! We get a lot of sun here and I do tan easily. I would definitely wear this daily. It even has SPF50+ PA+++ which is awesome! You won me right there. Using the entire range, my skin has a pretty glow from within which does not resemble an oily pan at all. 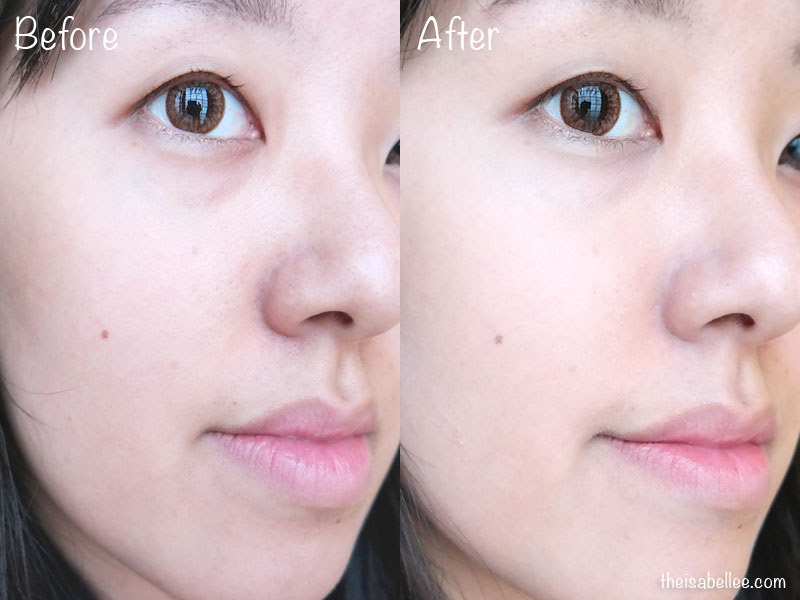 I guess this is the ideal 'clear and glowing skin' you see in Korean dramas. I definitely like it. I always love your beauty review. Great skin care. This packing looks extremely luxurious. I can already tell that it is good for me, before reading your review! wow..i can see the difference. The glowing effect too. 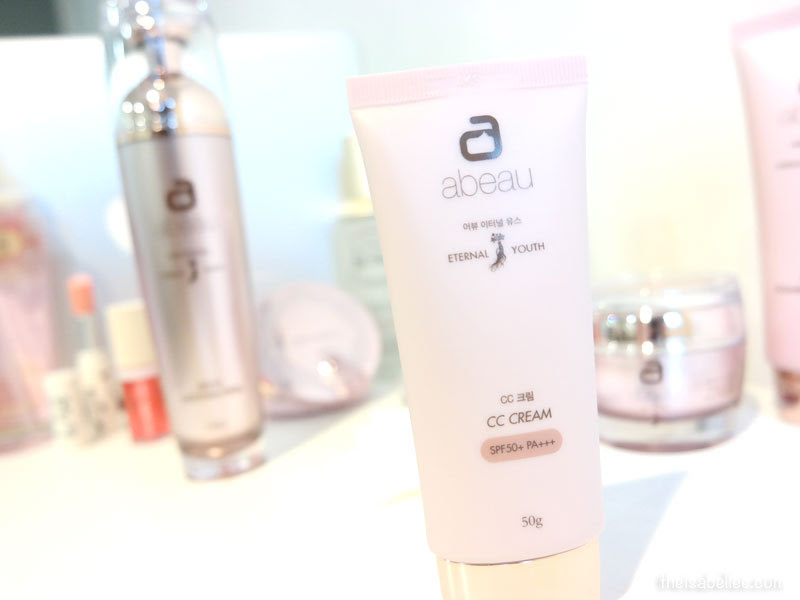 I love the different after using the CC cream. Will get 1 for myself. Hey jac, i've found their website. 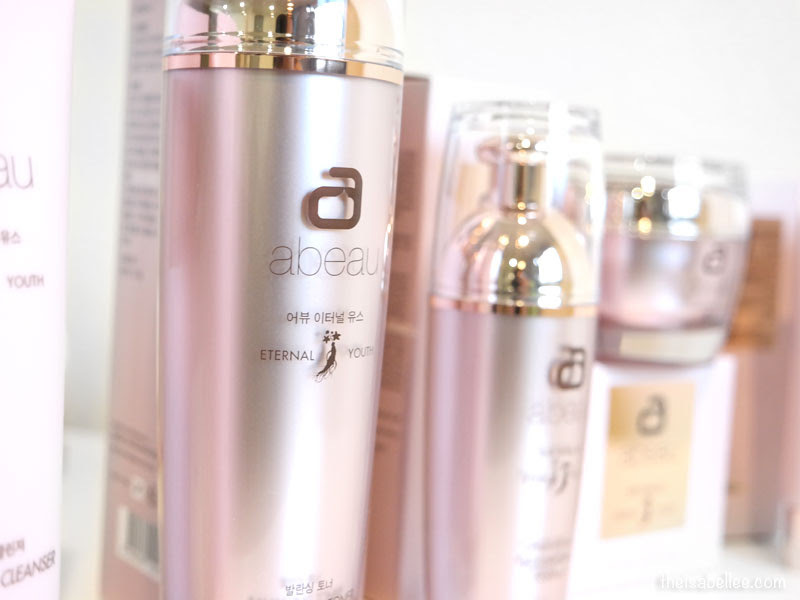 Search abeau-int.com and you will be able to buy for it! I have not try this brand before but the sweet packaging kind of attractive to me. Can I just say, I am obsessed with that packaging! Definitely a sweet way to dress up your vanity table. 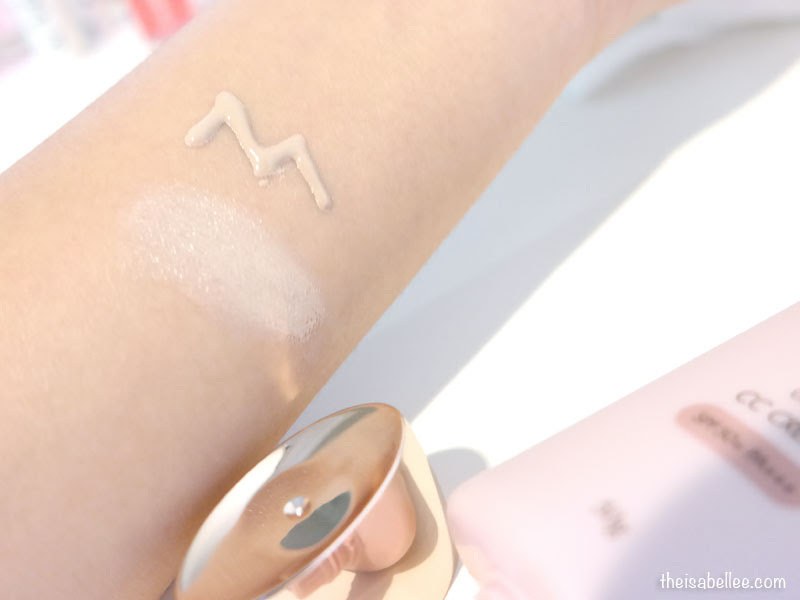 The packaging is really plush looking and the effect is so obvious on your skin! Haven't try on this brand yet but I love its packaging! wow, love the products after seeing your review. 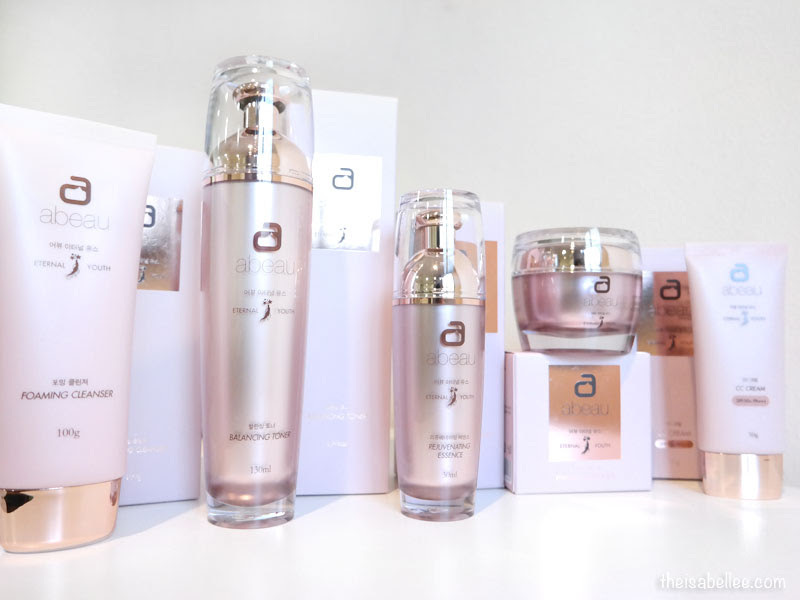 where I can buy this products?